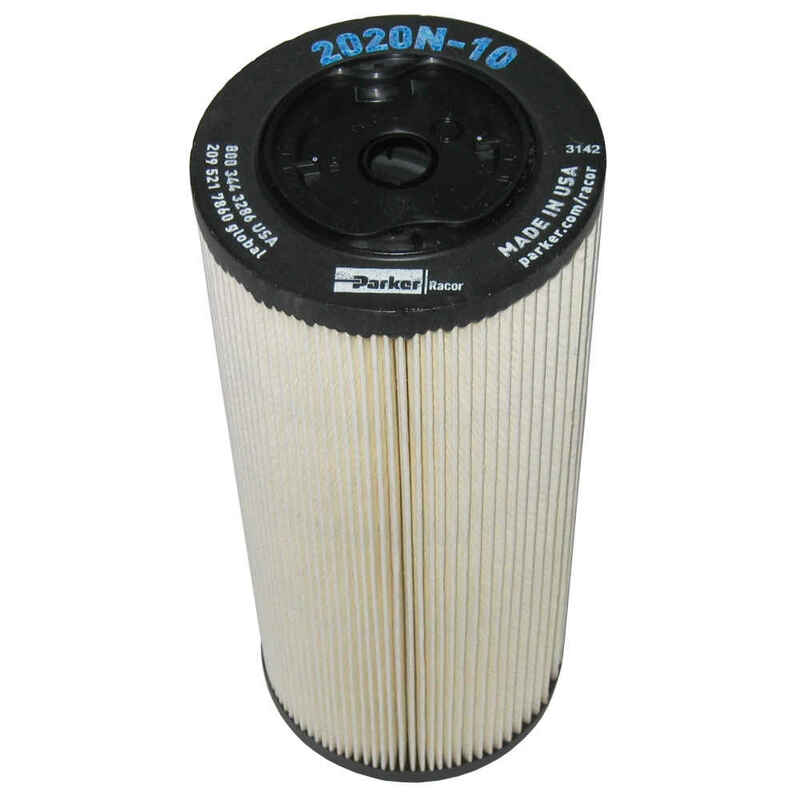 Replace filter every 50 hours. Trap the smallest particles and emulsified water from gasoline. Filtration media will not separate two-cycle oil from gasoline. Water separating canisters ensure no other contaminates or rust will contribute to a blocked fuel system. 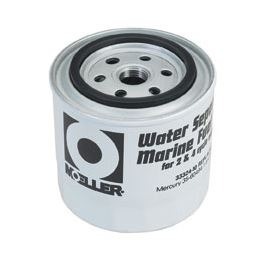 Designed for Mercury, BRP (Johnson & Evinrude), Yamaha, Suzuki, Honda, Tohatsu and Nissan engines. Universal application as well. High performance 3/8 NPT ports offer lower pressure drop rates. Stainless steel, powder-coated, and composite filter head offer extreme salt-water corrosion resistance. 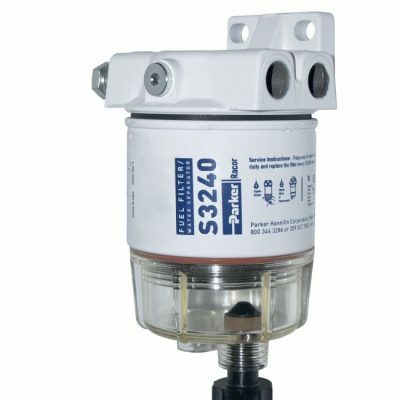 Filter kits come available in consumer package clamshell with barbs. 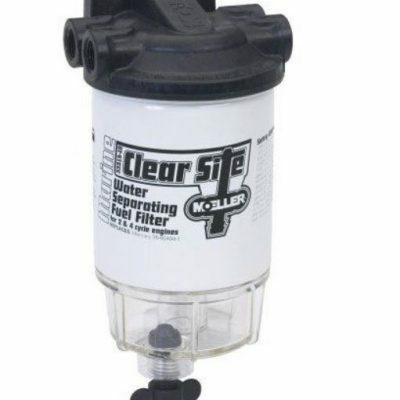 Not recommended for use with diesel engines or with electric fuel pumps using in-line fuel filters.